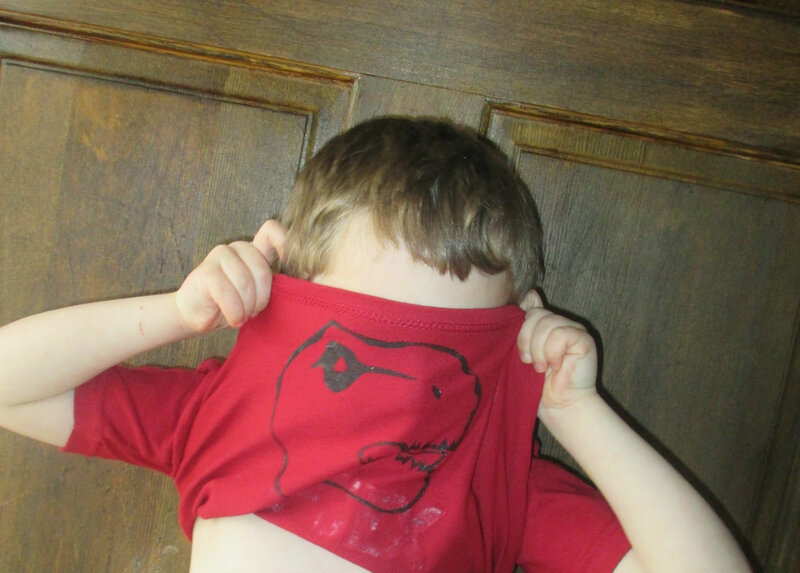 After the front of our shirts were done drying we turned them inside out. 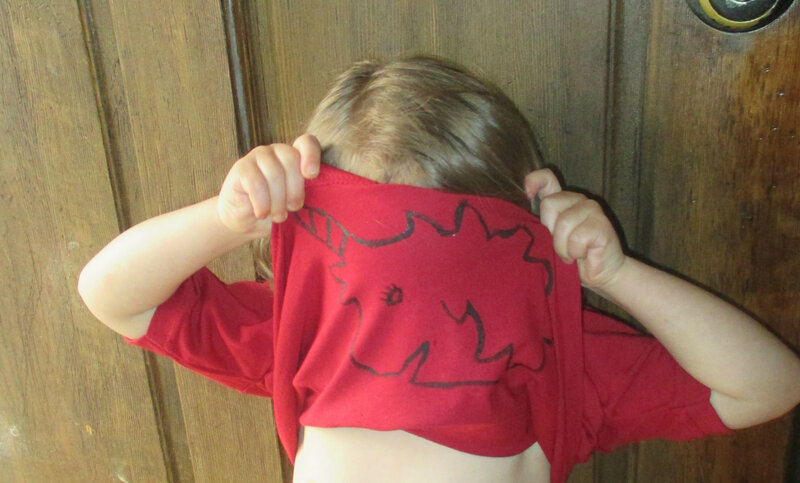 Make sure that when the shirt is on the design will be facing the right direction when flipped over your head. 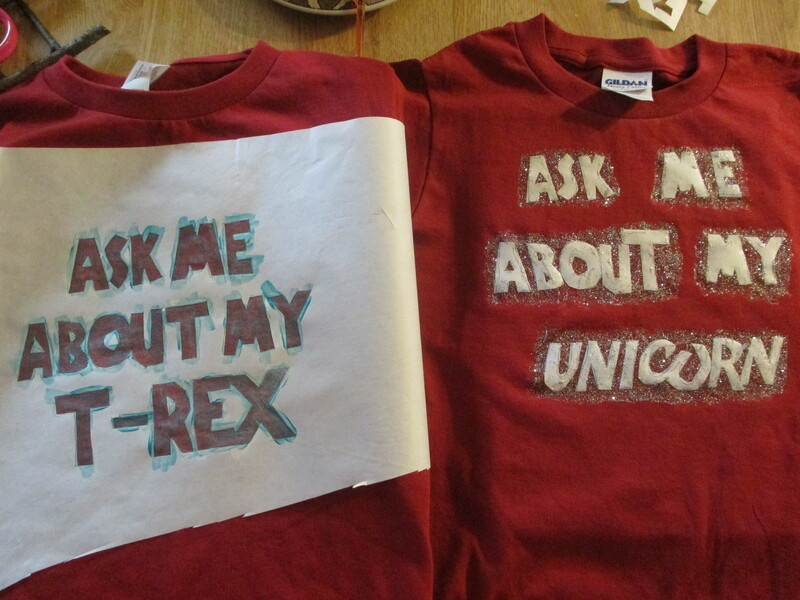 Then place you stencil facing the right way, iron it on and paint. Let dry and that’s all there is to it. This is fun and super easy but be warned if you are doing a detailed design it will take you awhile to cut it out. 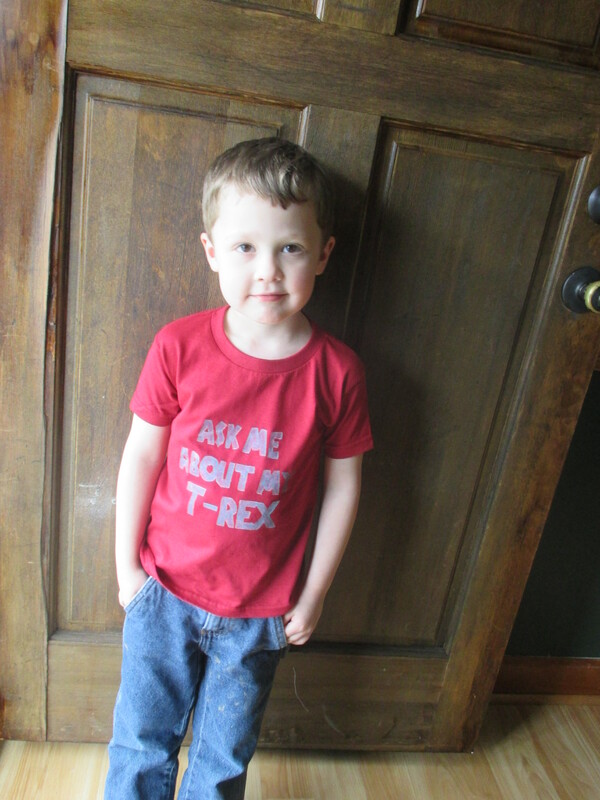 Go ahead, ask him about his T- Rex. She was not happy about pictures today. 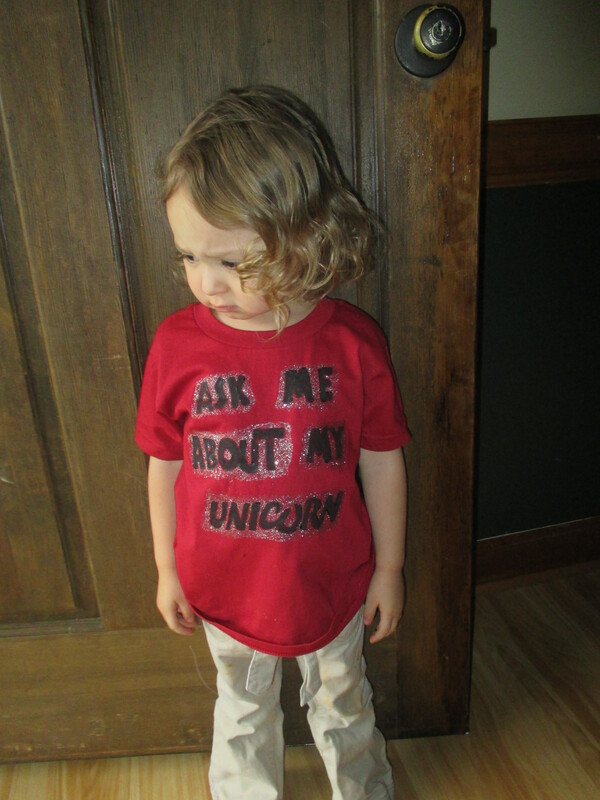 Ask her about her unicorn.